Starting the year 4-12 isn’t the way they drew it up, but there are still plenty of reasons to watch the Men’s Basketball team this season. This past weekend, the team welcomed the Middlebury Panthers and the Williams Ephs for two home conference games. For those who don’t know, Middlebury and Williams are consistently two of the top teams in the NESCAC and this year is no exception. Middlebury was 11-4 coming into the game and Williams sat at 13-0 while holding a No. 3 national ranking. Despite coming out of the weekend with two losses, there are several positives and definite building points for the guys moving forward. Jeff Spellman ‘20 looks for a pass. After starting the season on a bad note, Head Coach Jon Furbush recently decided to implement a 1-3-1 zone to try and throw a different look at teams that weren’t used to facing this defense. The goal of this zone is to apply constant pressure to the ball while hopefully forcing a trap and getting a steal. Because it often involves a double-team, one man on the opponent’s team is left open and a sequence of good passes can result in an open 3-pointer. What Middlebury did right was remain calm under pressure and not let Bates bait them into making too many bad passes. It also felt like they hit every single shot that they took, and the stats show that this feeling wasn’t totally unfair. On the way to putting up 100 points, the Panthers made 17 of 33 total 3-point shots, resulting in an impressively high 51.5% rate from beyond the arc. The game was close most of the way and never got totally out of hand, but Middlebury hit just enough shots to sneak away with a win. The Williams game was a completely different story. Bates jumped ahead early and even got the lead up to 14 points midway through the first half. The Ephs are an incredibly talented team who shoot the ball very well generally, but they struggled mightily against the 1-3-1 zone. They visibly looked uncomfortable at times and turned the ball over quite often on silly mistakes. Although the Bobcats led much of the way, outcome was much like the night before. Williams battled to stay in the game and they eventually were able to pull away at the very end because of their immense talent and size. Most of the time an 0-2 weekend isn’t worth focusing on, much less writing about, but this wasn’t your typical 0-2 weekend. Single-digit losses against one of the top teams in the conference and one of the top teams in the nation isn’t a terrible showing from a squad that has really struggled at times this season. The next test on the schedule comes this Saturday at 3pm when the Tufts Jumbos come to town in what will be a very winnable game for the Bobcats. Tufts is a good team that has played well this season, but they don’t quite have the same talent that we see on rosters like Middlebury and Williams. 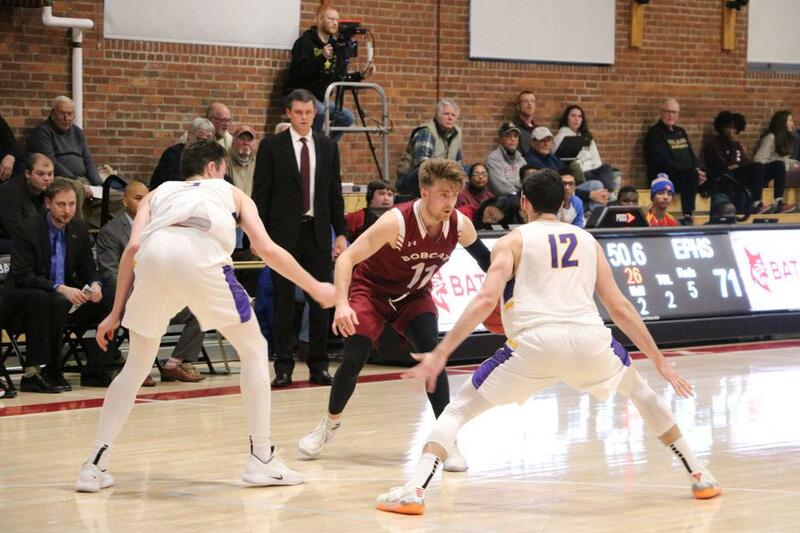 Hopefully the Bates faithful will pack the gym and make it a fun one to be at for another huge NESCAC matchup this weekend. Learn About Competitive Club Skiing at Bates! Elly Bengtsson ’19, a senior captain of the Competitive Ski Club, answers questions about the team just before their last race of the season. Off the field, the Bates Field Hockey team is helping to lead a fundraiser for the American Foundation for Suicide Prevention (AFSP). Taylor Haugh ‘19, who started the field hockey fundraising efforts a few years back, feels a personal connection to the cause. Two years ago, Haugh lost one of her close friends to suicide. 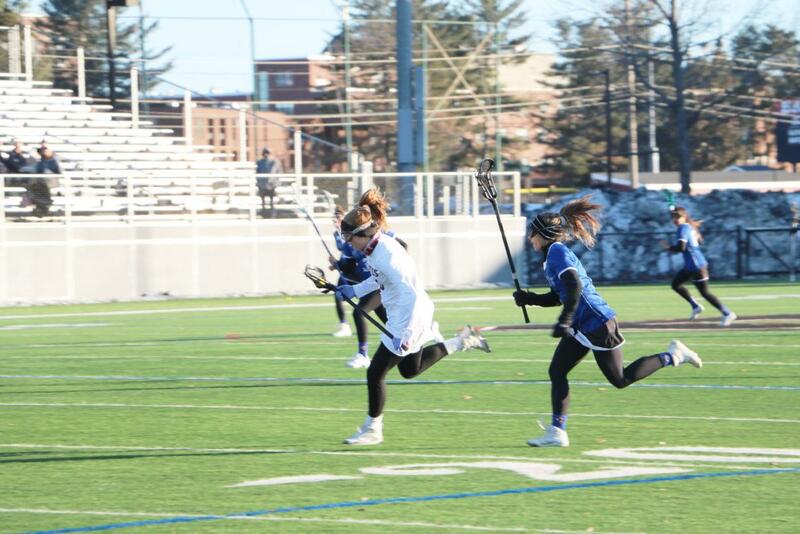 Last Saturday, the Women’s Lacrosse team took on Williams in back-and-forth action that saw the Bobcats eventually pulling away with a 13-11 victory. This marked the second consecutive Bobcat win and pulled the team over 0.500 for the first time this season.